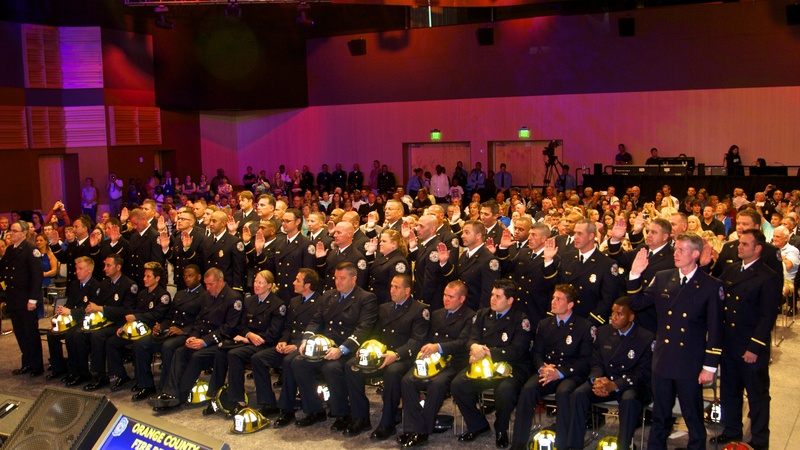 Orange County Fire Rescue made history by graduating its largest promotional class ever, including 40 new lieutenants in August. With a total of 63 promotions, the young department — which was formed in 1981 — continues to grow and offer career advancement opportunity to deserving firefighters. The ceremony included the promotion of the department’s now highest-ranking African-American assistant chief as well as its sixth active female battalion chief. Women now comprise 28 percent of the department’s battalion chiefs. “We are thrilled to offer our best and brightest these opportunities and begin to craft a new generation of leaders for Orange County Fire Rescue,” said Chief Drozd. Nearly 500 attendees participated in the event, which was held at Full Sail University.